We’re always fascinated to see how our products are used in the real world. Adding motion to your projects has never been easier and applications are becoming more varied everyday. This fall we were introduced to Anna Stephens and her wonderful cosplay costumes. 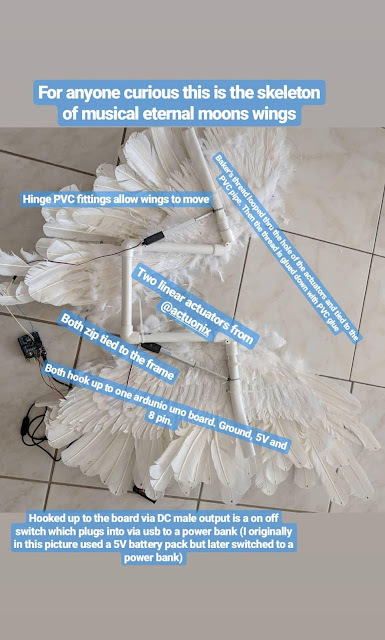 We caught up with Anna, aka doki_doki_cosplay on Instagram, to find out more about the world of cosplay and her latest project, articulated wings powered by Actuonix actuators and Arduino. Thanks for taking some time with us, Anna. How long have you been interested and participating in cosplay? I started getting interested in cosplay when my library’s Anime Club had a festival where you could cosplay, at which point I started to research what cosplay was. It wasn’t until the beginning of 2017 that I mark the start of my cosplay career. That is when I became truly invested in making my own cosplays from scratch and even competing in cosplay competitions. 72 Likes, 5 Comments - Doki Doki @ CCR (@doki_doki_cosplay) on Instagram: "Musical eternal moon wings are DONE! electronics and all! They have two linear actuators from..."
How often are you creating new ideas and designs? How many events do you attend each year? I create a new cosplay every time there’s a new convention I want to go to. Most of the time if I’m making a cosplay it’s because I’m competing in a cosplay competition. I’d say I go to roughly about 5 to 6 conventions a year, I average going to a new one about every 2 months which gives me a good amount of time to make a stellar cosplay. How does judging work in your competitions? Are there specific points awarded for technical aspects or is it more of an overall impression? It varies from competition to competition but typically you have anywhere from 3-5 minutes to explain the entire process of how you made your cosplay. I usually go head to toe and you also have to present progress pictures of you making your cosplay and a reference picture. I choose to bring a portfolio of everything including reference pictures, categorized in progress pictures, fabric swatches and more! It honestly depends on the judge and what they look for, to my knowledge I don’t know the exact scoring system since it’s not like we get scoring cards at the end of the competition but judges typically like you to show a variety of skills. For example, 3D printing, hand beading, LEDs, tailors and more. The most important thing is that you show a mastery of those skills you’ve displayed. How many of your projects involve electronic components, is this something that you’ve added to your repertoire recently? Nearly all of my cosplays involve some sort of electronics. Mostly LED’s which is what I’m known for in the cosplay and competitive cosplay community. Recently I did start adding linear actuators, the ones from actuonix to be exact. How did you get the idea to have your Musical Eternal Moon wings move? What were the challenges involved in making this work? As a competitor you’re always looking for the next big thing that will wow the judges and it had always been a dream of mine to make articulated wings, or even just a large pair of wings. After much research - because there are several ways to articulate wings - I settled on the idea of doing it electronically with linear actuators. Only one problem though: most conventional linear actuators require soldering in order to power them, which I for one am not particularly good at. I always look for a “back door” for things when I can’t find an immediate solution and that’s what I had to do here. I was browsing Google and I came across Actuonix and they had linear actuators that could be hooked up to an Arduino board, which in my case I knew I could use jump cables to connect and plug a power source into the Arduino. So, problem solved, no soldering required! Actuonix is really a life saver and I don’t think I would have been able to make these wings without them. You mentioned that you learned to code Arduino for the project, was that something that was intimidating to learn? Now that you have experience with the platform are you looking forward to using it in the future? Oh yeah definitely it was very intimidating, but like I mentioned before I always look for a “back door” with things in cosplay and when I learned that I could use a base code and alter it from there it became a whole lot simpler. It also helped me learned the basic “language” of coding which does help me going forward. And yes I’ve been experimenting with other mediums on the Arduino like the Adafruit Neopixel library. I’ve always used add-ons or pre-programmed LEDs to light them up but now I’m slowly learning how to do it myself from scratch! Do you have any resources to share with other cosplayers and makers that want to get into adding electronics to their projects? Well in the great words of Yaya Han one of the world's most famous cosplayers “practice your Google fu”. Google will become your best friend - I’m all self taught electronics-wise - it’s as simple as getting creative with your searches. The internet is at your disposal along with a wealth of knowledge, you just have to discover it! Big thanks to Anna for taking the time to give us some insight into the world of cosplay. 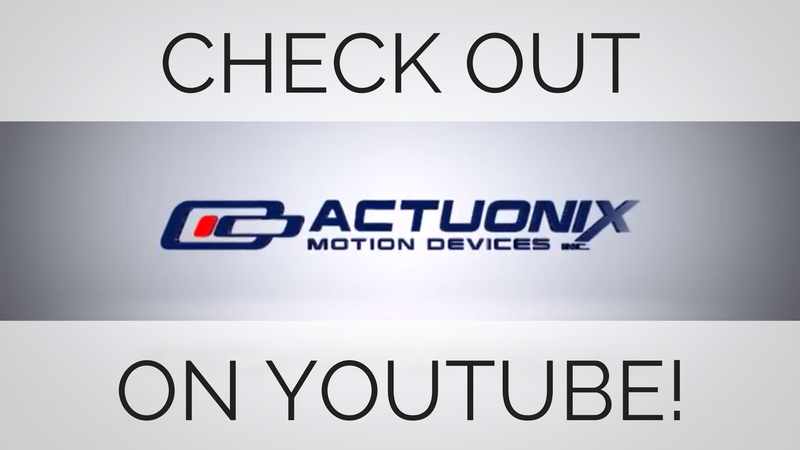 We love to see what the world is doing with our actuators. If you have a project you’d like to share please reach out to us via Twitter, Instagram or Email.